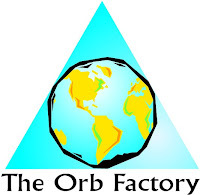 The Orb Factory is located in Halifax, Nova Scotia, Canada. 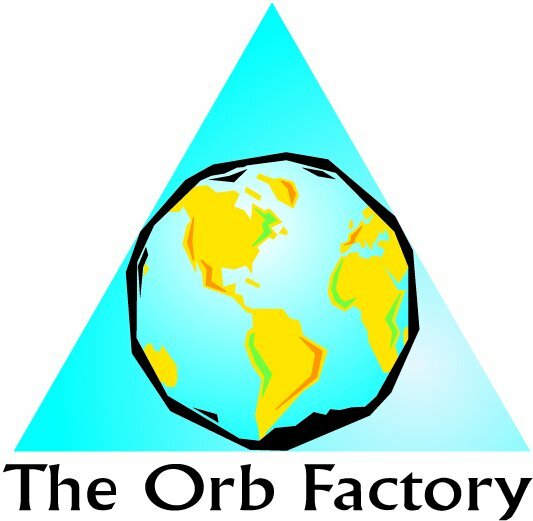 Now in its 20th year in business, The Orb Factory was created in 1990 by Steve Kay, and began after Steve found success creating and selling The Celestial Orb, a wire transforming toy, at local craft markets. New products were added to the line and soon The Orb Factory’s toys were being sold around the world. Cut, rip, and Decoupage dozens of amazing accessories. Use patterned paper to create headbands, pendants, earrings, and more. Decorate with feathers, glitter, stickers, and over 13 yards of ribbon. Mix and match patterns for a completely unique look. The instruction booklet provides inspiration and step-by-step instructions to take you from beginner to advanced in no time! My daughter lives by the credo that you can never have enough accessories. She loves bracelets and earrings and anything fancy, shiny, flashy or bold. So when I showed her the Imaginista Decoupage Jewelry kit by the Orb Factory ( ) she couldn't wait to release her inner Donna Karen. 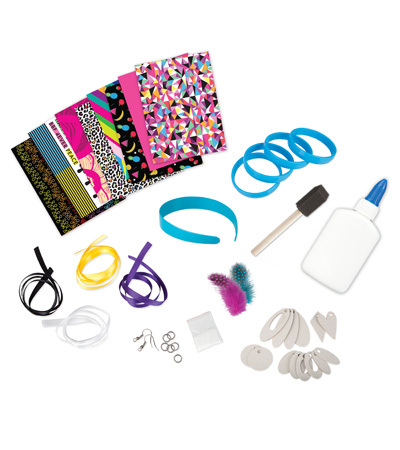 Feathers, patterned paper and ribbon are what you use to make headbands, earrings and pendants. From beginner to expert this kit has you covered and we had a lot of fun playing fashion designer. What I loved was the ability to be able to make earrings, my daughter is on an earring kick and she loves to go shopping for earrings. Since she was able to make her own earrings well she just thought that was the greatest thing ever and she's now able to wear her own creations to school to showoff her skills. This is a great way to spend creative time with your child and just have fun and something else that this kit would be great for is a party, just set it out and let all the kids make their own jewelry, it'll keep them entertained and occupied and they'll have a blast doing it, I know we did. Your tween will love this kit, and you will love the price the, Imaginista™ Decoupage Jewelry retails USD $ 19.99. If you are looking for a gift a hard to buy for tween will love make sure to check out the Orb Factory. The generous folks at The Orb Factory are giving one of Susan’s Disney Family readers a chance to win an Imaginista kit from the Orb Factory. Would you like to win? To enter, please visit The Orb Factory website, take a look around and find something that you like. Is there something that you would love to buy for your little girl? Please let me know your favorite item. There are also other ways to enter, please enter below. 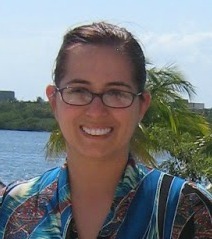 Susan S. Disclosure: The reviews and or opinions on this blog are my own opinions .I received a kit to review. No monitory compensation was received. I was not required to write a positive review. Your experience may differ. The opinions I have expressed are my own I am disclosing this in accordance with the Federal Trade Commissions 16 CFR Part 255: Guides Concerning the Use of Endorsement and Testimonials in Advertising . 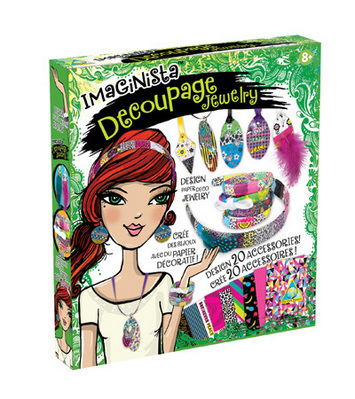 I like their Imaginista™ Decoupage Jewelry Kit. Thanks so much for the fantastic giveaway! I WANT that tie-dye kit! 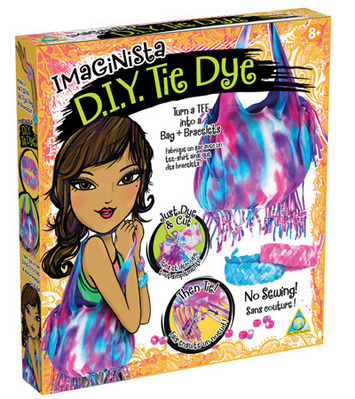 I remember doing tie-dye very well, from back in the day.........it's time I did it with the grandkids. I love the Fancy Nancy kits! Thanks for the chance to win! These are all so AMAZING my daughter would Love to try each and every one! 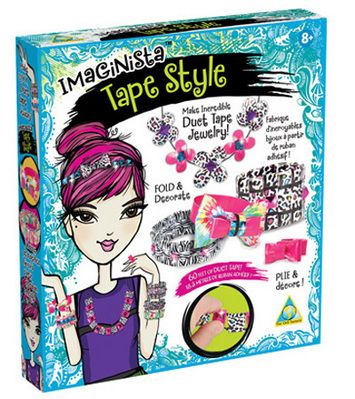 I think though that the one we would have the most fun with together would be the decoupage jewelry or even the duct tape jewelry (Tape Styles), she is really into that kind of thing right now and loves to wear all kinds of unique jewelry! These are all so AMAZING! I think my daughter would love each and every one! I think the one we would have the most fun with together though would be the decoupage jewelry, or even the duct tape jewelry. She is really into that kind of thing right now, and loves to make and wear unique jewelry! I like the make your own superball kit! I like the tape style. I love the SparkleUps Butterflies. PlushCraft® #65533; Bob & Larry Wall Art.